A quick update from the road! 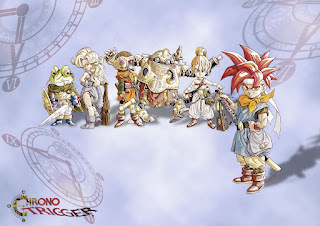 I've been travelling for the past week and in order to stave off the homesickness, I'm playing my video game version of comfort food: Crono Trigger. Hearing those familiar songs and one-of-a-kind sound effects brings back great memories, regardless of where I am. However, it's not a completely as I remembered: The Nintendo DS version I'm playing has been re-translated! While the game feels the same mechanically, a constant stream of slight linguistic differences makes the game feel a bit foreign, even though it's more polished. From a writer's perspective, the game reads much more naturally than the SNES version, which had a notoriously short localization process. Weird phrases have been replaced with more common English slang and it feels like certain dialogue exchanges have actually been expanded. However, when the robots of Lab 32 refer to Johnny as "Bro!" rather than "The Man!" it's jarring. Even the game's TV Tropes worthy opening "Good morning, Crono!" has been changed to "Crono, are you still sleeping?" When I first read this while playing, I thought I might have imagined this. Consulting the Chrono Compendium's change log confirmed my suspicions. It's a testament to the scope of this version's relocalization. The previous dialog wasn't poor or incorrect; the change was a stylistic one. This is particularly strange, as the original opening was used to advertise this version! Some of the changes, like calling Spekkio the "master of war" rather than "the god of war" or calling the first future boss' support parts "pods" rather than "bits" are relatively banal. However, there are others I'd argue have meaningful implications. Human characters now refer to the world's sentient monster population as "fiends" rather than "mystics." The former has a decidedly negative connotation that clearly marks them as the "other," while the latter leaves room for mystery, magic, and possibly coexistence. The item that brings a knocked-out ally back is called "Athenian water" instead of the original "Revive." Not only does the former inject the nomenclature of our world into the game, it also obscures the item's function. None of this ruins the game (you'd have to really screw up to do that), but it is a good example of how linguistic subtleties can affect a game's tone and how we remember it. 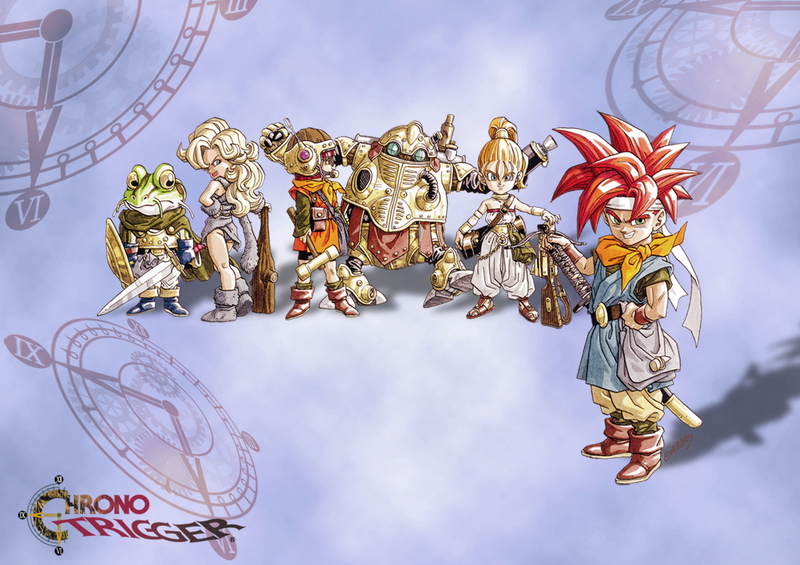 Chrono Trigger for the DS is still great. As far as video game comfort food, it does the job. It just has a different spice blend than the version I grew up with. The importance of language is really something that isn't touched on enough, despite games (well JRPGs) being such great tools to look at this with especially given the amount of re-localisations that have happened.